Magical waves wove curious greenish patterns on the five-inch screen as the radio engineer put the last screw in place in his experimental television set. Equipped with 26 valves and operated on 1000 volts, the TV set, which was demonstrated on Monday, occupies a space of about 2 sq. ft. Not unlike an ordinary radio set in appearance, one only realises that he is looking at a TV set when the switch brings on light and motion instead of sound. 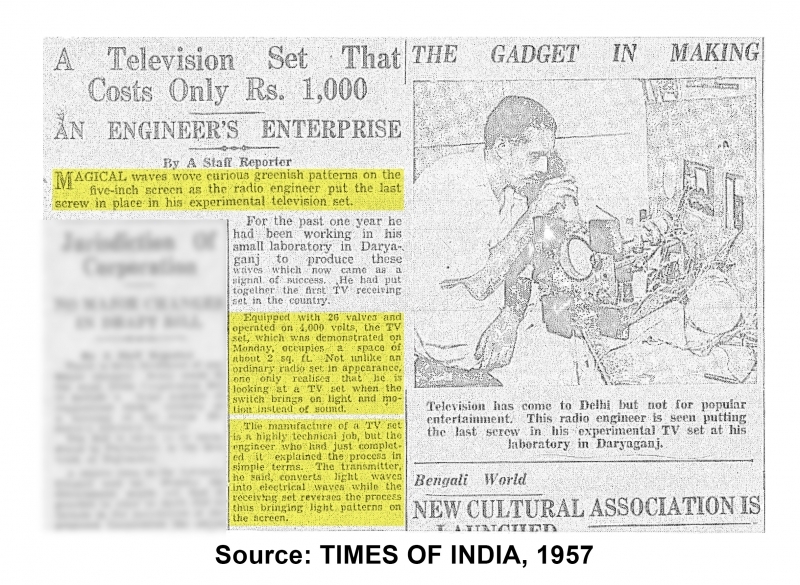 The manufacture of the TV set is highly technical job, but the engineer who had just completed it explained The process in simple terms. The transmitter, he said, converts the light waves into electrical waves while the receiving set reverses the process thus bringing light patterns on the screen.